The Breakers on the Ocean: Jersey Shore weddings in Spring Lake. The Breakers on the Ocean in historic Spring Lake, New Jersey, is warm and inviting with its unsurpassed water views, elegant and beautiful ballrooms and its exquisite and innovative cuisine. These unique amenities combine to make your Jersey Shore wedding celebration an unforgettable experience. The Breakers on the Ocean has the distinction of being the only full service hotel located on the ocean in Spring Lake. Originally built in the late 1800’s and called the Wilburton-by-the-Sea, it was renamed The Breakers on the Ocean in 1905 and it has the honor of being the only remaining 19th Century grand hotel in Spring Lake, standing as a true heirloom of the town and the whole Jersey Shore. The Hotel has been through numerous renovations, carefully preserving the integrity of the past, while updating the interior to incorporate 21st Century amenities. The Breakers on the Ocean offers an exclusive and unique experience at the Jersey Shore. It combines a fresh perspective with time-honored traditions, creating the perfect setting for an unforgettable Jersey Shore wedding. The Wedding Planners at The Breakers on the Ocean are ready to assist you as you prepare for the most important day in your life. 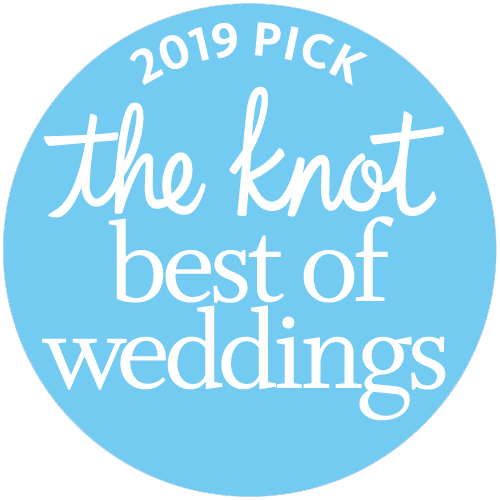 The Hotel offers a variety of different wedding packages including our Devotion Wedding and special Valentine’s Day, St. Patrick’s Day and New Year’s Eve weddings. 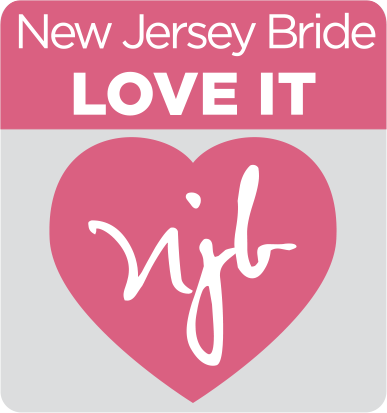 Every couple and their celebration is unique, but common to each Breakers wedding is the happiness and warm loving atmosphere created by our dedicated Jersey Shore wedding planners. The Breakers on the Ocean has hosted thousands of weddings; benefit from our history and experience. An intimate wedding with a minimum adult guest guarantee of fifty is held in our Seashell Room. The four hour Seashell Wedding takes place from one-thirty to five-thirty in the afternoon. The first hour of the wedding, the cocktail hour, is held either on our Ocean Terrace overlooking the ocean (weather permitting) or in our Seashell Lounge. The cocktail hour is followed by either an elegant sit-down reception or a more relaxed buffet style reception. We also offer a Wedding Brunch, a Cocktail Reception Wedding and our deluxe Devotion Wedding. Special menus are available for Valentine’s Day, St. Patrick’s Day and New Year’s Eve. We are happy to customize a wedding menu to incorporate seasonal culinary specialties or to complement individual tastes and preferences. A wedding of one hundred or more adult guests is held in our Crystal Ballroom. The five hour Crystal Ballroom Wedding is available from twelve noon until five in the afternoon or in the evening starting at either five-thirty or six o’clock. The first hour of the wedding, the cocktail hour, is held either on our Ocean Terrace overlooking the ocean (weather permitting) or in our Seaview Room. The cocktail hour is followed by either an elegant sit-down reception or a more relaxed buffet style reception. We also offer a Wedding Brunch, a Cocktail Reception Wedding and our deluxe Devotion Wedding. Special menus are available for Valentine’s Day, St. Patrick’s Day and New Year’s Eve. For more information or to make an appointment please contact a member of our Sales Team. A wedding ceremony may be performed indoors in our beautifully appointed Crystal Ballroom or outdoors on our Ocean Terrace. Both locations offer a magnificent view of the Atlantic Ocean. Your banquet maitre d’ will assist you in organizing the ceremony on your wedding day. Arrangements may be made with your wedding planner. There is a fee of $400.00 for the Ocean Terrace and $600.00 for the Crystal Ballroom. We offer a child’s meal of chicken fingers & French fries or pasta with butter or marinara sauce for $35.00, inclusive of tax and gratuity, for children eight years and younger. Young adults, under twenty-one years, are charged $30.00 less than the adult price. A meal of salad & pasta is offered to your professionals (band, dj, and photographer) at $35.00 per person, inclusive of tax and gratuity. We are happy to coordinate both a rehearsal dinner and post wedding day breakfast. Arrangements may be made with your Wedding Planner. A breakfast buffet is available at the special price of $22.00 per person, plus NJ state sales tax from 9am to 11am the morning after your wedding. Our breakfast buffet includes fresh fruit, assorted muffins, croissants and bagels, country style scrambled eggs, crisp bacon, savory sausage, Breakers home fried potatoes, traditional French toast with butter & maple syrup, freshly brewed coffee, select teas and chilled fruit juices. Please ask your Wedding Planner to make arrangements for you. Eat, Drink and be Married. . . Host your rehearsal dinner, wedding and post wedding day breakfast at The Breakers on the Ocean and receive a 10% discount (excluding liquor) on either the rehearsal dinner or the post wedding day breakfast in addition to champagne and chocolate covered strawberries in the bridal couple’s upgraded guest room. A complimentary guest room is included with the wedding package for the night of the wedding. An upgraded guest room will incur an additional fee and may be reserved by contacting a member of our Guest Services staff. Complimentary guest room is non-transferable and non-refundable. Hotel check-in is 3:00pm. If a guest room is needed before 3:00pm on the day of the wedding please reserve a guest room for the day before the wedding. Valet Parking is included, at no additional charge, in all wedding packages. Direction Cards are available for your convenience. Please inquire with your Wedding Planner. Blank Breakers place cards are available for your use. Please fill them out and return them to your Wedding Planner in alphabetical order (not by table). Silk centerpieces are available for your use in our Crystal Ballroom. A small bud vase with a fresh flower is available in our Seashell Room. Please advise your Wedding Planner if you will be using our silk centerpieces or providing your own. Prices are subject to New Jersey state sales tax. Beach brides will want to see this Spring Lake site, which Knotties say is perfect for “an elegant beach wedding that’s simple yet classy.” Beautiful views of the Atlantic provide a perfect backdrop for your cocktail hour and reception. “The staff was gracious and their wedding coordinator was a godsend”.